Within the 2002-2012 Complex era, 2007 was, hands down, the pinnacle for cinema. Many of the year's top flicks will appear shortly on this list, so we'll spare you the shortened breakdown here. 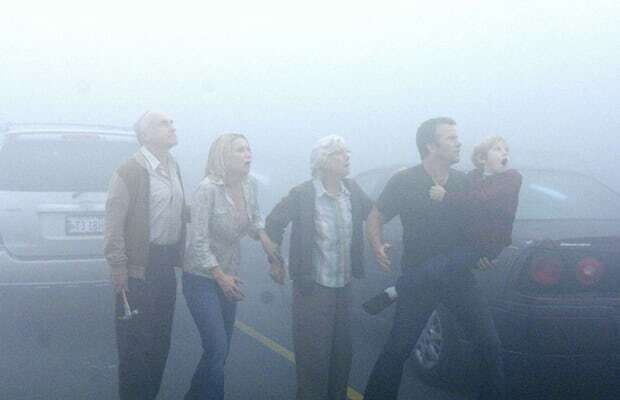 But one film from '07 that was unfairly swept beneath the year's awards-earners and higher-profile fare—and, unfortunately, has yet to achieve its deserved cult status—is Frank Darabont's emotionally scarring adaptation of Stephen King's novella The Mist. A random, large group gets trapped inside a supermarket once a massive, blanketing mist engulfs their town and unleashes otherworldly monsters into the area. Locked together unwillingly, the folks, in true Lord Of The Rings style, divide and try to conquer one another, all while the aforementioned creatures do their best to bust into the store and chow down. Before its final scene, The Mist is already an absolute gem, but then Darabont takes an unbelievably brave and, no doubt about it, bleak chance: He executes one of the biggest downer endings imaginable. As divisive as it is, The Mist's closing image is powerful enough to merit the entire film an inclusion on this countdown.